A recent issue of Nature, a very well respected neuroscience journal, just devoted an entire issue to autism. That in itself makes me happy, since talented scientists are finally working on a severe condition which so significantly affects every afflicted family. This edition of Nature is significant insofar as it has an article on the reversal of autism in mice. Researchers first had to create autism in mice by knocking out a specific gene. They then administered medication to reverse the damage. The fact we are even seeing this kind of sophisticated research after decades of pseudo-science is very exciting! It’s the sort of thing we could only dream about not long ago. Although the drugs used in this study are currently inappropriate for humans, the fact that they’re even talking about drug reversal of autism suggests that one day, there may be a drug that significantly ameliorates the condition of autism or perhaps eliminates it entirely. News flash! Mom's of autistic kids make less money! Hello! Tell us something we don’t know. The first time I read about the amazing epiphany that a cutting edge researcher came up with regarding the under productive nature of the mother of a child with autism, my spouse and I had a good chuckle. It’s 14 years later and this “new” breakthrough, published in the Journal Pediatrics in 2012, has just been reported around the world by Reuters News. In 1998, researchers noted that women with disabled children were disproportionately employed part-time. In 2012, it was reported that mothers of children with autism earn 56% less than those without a disabled child, they are employed less, and when employed, work 7 hours a week less than mothers of non-disabled children. Don’t you think it’s time to solve this problem instead of rediscovering it with ever increasing precision over the years? 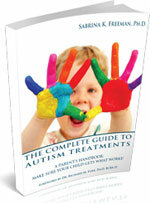 Any parent of a children afflicted with autism can give you a content analysis of their day. It’s full of managing crises, coordinating schedules, managing treatment teams, and completing paperwork. Added to this is the daunting task of functioning as the child’s rights advocate, in seemingly endless struggles with government functionaries in educational, medical, social welfare and legal departments. The Solution? It’s easy to say, but hard to achieve. The sooner parents of children with autism have access to high quality treatment and education for their child from the moment of diagnosis to adulthood, and humane living arrangements for their adult disabled children, the sooner parents will be able to concentrate more energy on their careers instead of disproportionate effort on their child’s well-being and equal access to services and education. Until such time, be prepared to see more of these “groundbreaking”research articles that measure yet another aspect of human misery. The widely known “Secret” is being tested… Finally! For the past 20 years, parents of children with autism have been informally using melatonin to mitigate their children’s vexing sleep problems. A great side benefit to melatonin is that finally parents can get some sleep. Since a full night’s sleep is so precious and a majority of children with autism have disrupted sleep, some parents have become quite zealous in their support for this supplement. Many parents anecdotally report that their children, at long last, start to sleep through the night with the use of melatonin. Those of us who believe in the scientific method, feel somewhat sheepish in recommending melatonin since it has never been tested properly on children with autism for sleep. The hormone melatonin is not proprietary; therefore, historically no drug company has had an incentive to do clinical trials. In addition, the anecdotes have been mixed. Melatonin seems to work with some children and not for others. Some parents use the sublingual variety of melatonin (under the tongue) whereas other parents manage to successfully use the time-release capsules, where the child must swallow the entire pill since by crushing it, the time release no longer works. In short, in Melatonin we have had a potential treatment for autism related sleep disorder but no one with an economic incentive to test it properly. In the past five years, however, researchers have been examining the effect of melatonin on sleep and have reported mixed results. In April 2011, a research article was published reviewing 35 studies that looked at the relationship between melatonin and autism. Night wakening. Researchers did not find a difference in number of night-time wakenings. Clearly, we need more studies done on the relationship between sleep and melatonin in children afflicted with autism. The effect on night wakenings needs to be replicated in a controlled study to make sure that this observation is correct. In the meantime, for those parents suffering from serious and prolonged sleep deprivation, it may be worthwhile to have the child’s pediatrician or neurologist read up on melatonin to see whether the supplement is worth exploring for your child. Since the article reviewing 35 studies reported minimal to no side effects for melatonin, it may be worthwhile to try melatonin under the supervision of the child’s health care professional. Greed is good: Let's give a group hug to big "pharma"